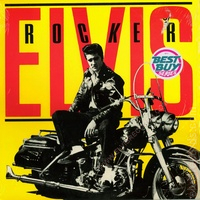 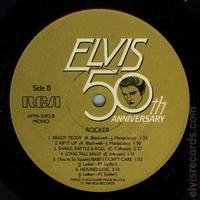 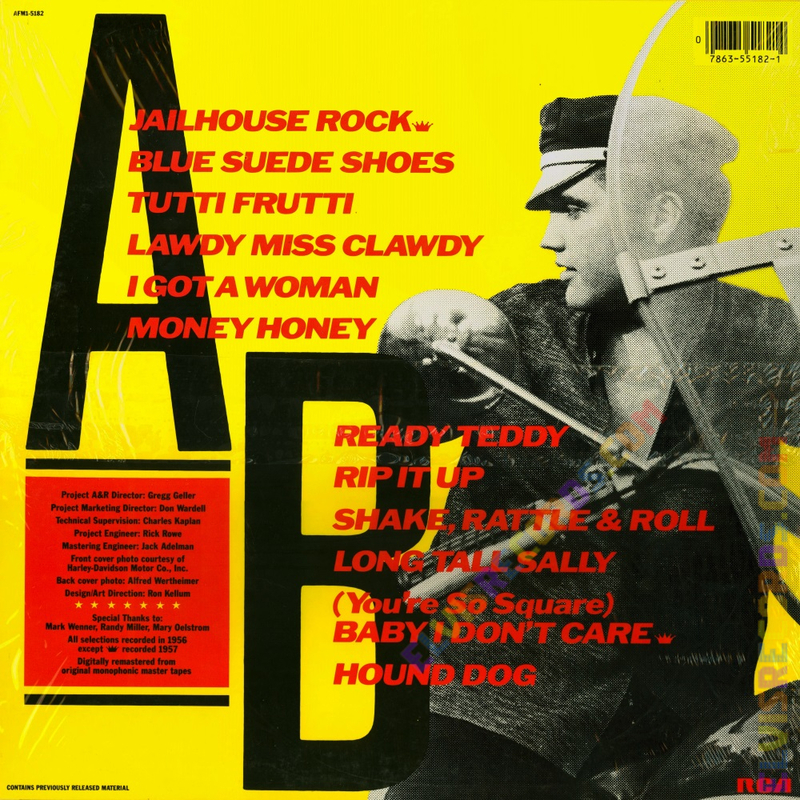 Cover Front: Yellow cover with ELVIS in red letters intertwined with the title, ROCKER in black. No catalog on front. May or may not have a Best Buy series sticker or a sticker for Blue Suede Shoes. 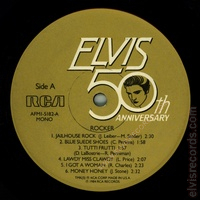 Cover Back: Catalog number upper left corner. RCA lower right corner. 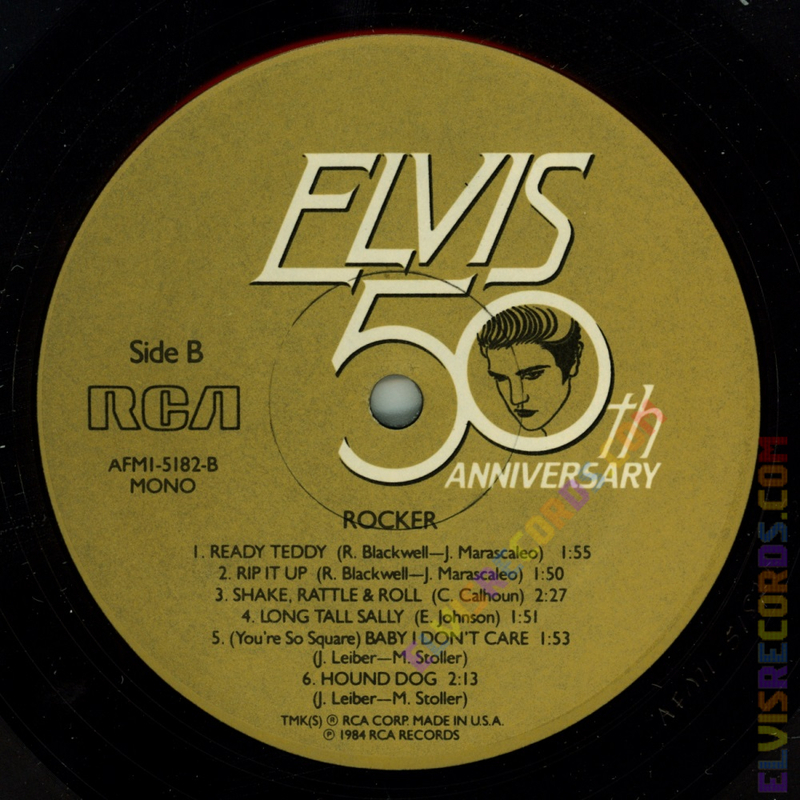 Bar code upper right corner.